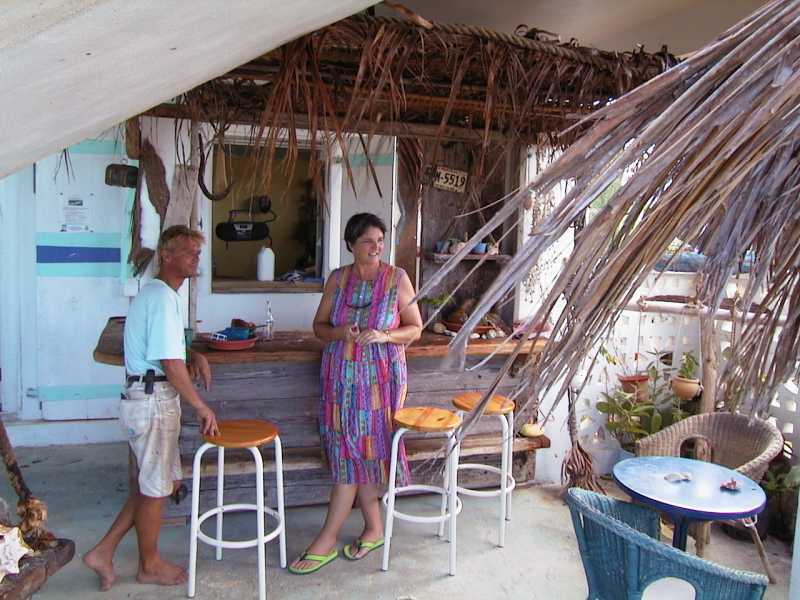 Susi Schr�der-Geyer and Doris Brooks have created a complete little castaway island business on the beachfront in Sandy Ground, and a little thing like a hurricane and a flood are not going to stop them. 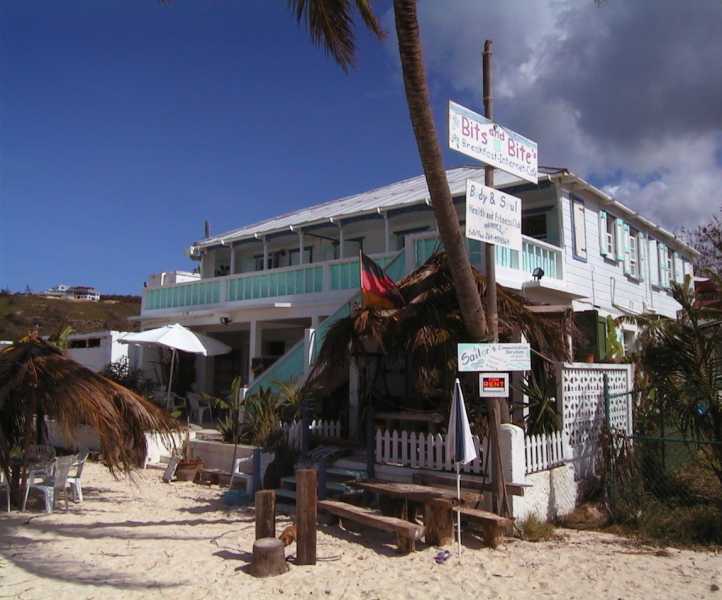 Located on the water, between a dive shop and the top beach bar in the caribbean, they started with the Body and Soul Health and Fitness Club, with exercise classes, dance classes, and swimming lessons. Then they added a colds drink bar. 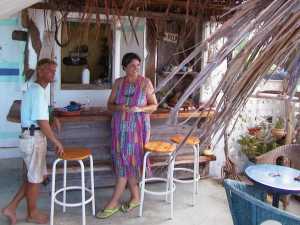 Then the Bits and Bite's Breakfast and Internet Cafe, with a bar made completely of driftwood and lumber scavenged from ship wrecks. 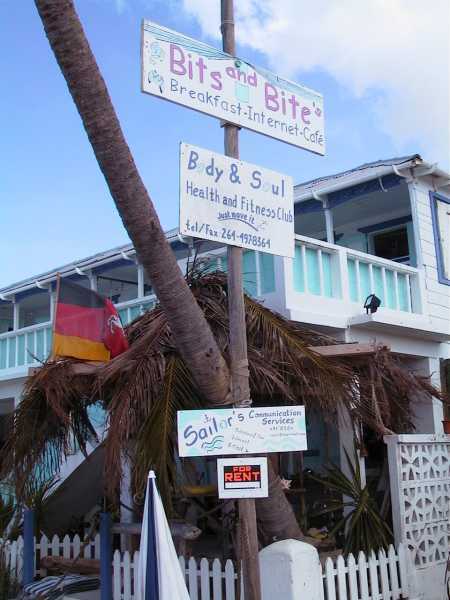 Since they are only a few steps from the pier and the customs house, they also provide a Sailor's Communication Center, where itinerant travelers can check their email, send faxes, and drink a nice coffee as they do it. And they have palm frond shade huts on the sand. All of these pictures were taken on November 25, 1999, less than a week after Hurricane Lenny. You don't know what a cleanup effort that represents. 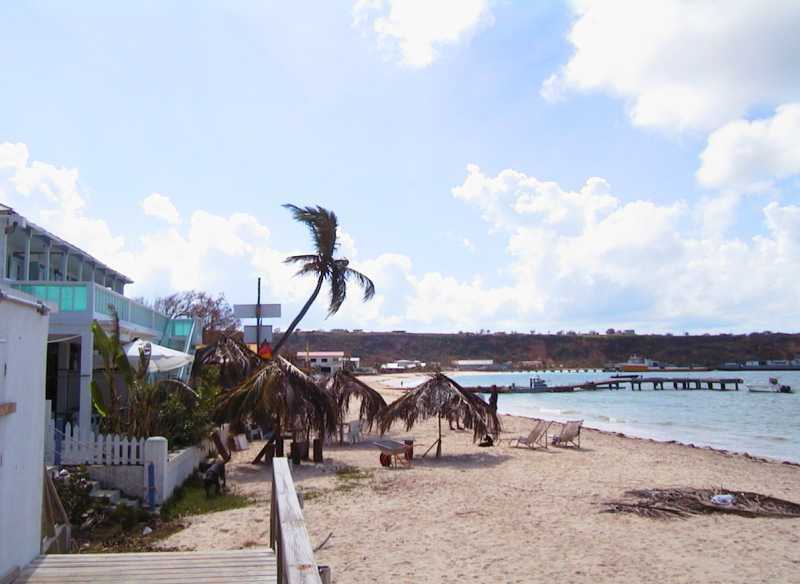 Directions: For sailors, check in with Customs and Immigration at Road Bay, then walk east on the beach about 75 yards. 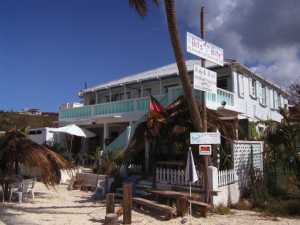 You will find them between Johnnos Beach Bar and the Dive Shop. For non-sailors, start in the airport parking lot, take the only exit and turn left, then left again and drive past the airport entrance, straight through the roundabout and down the main road to the next roundabout. Here you turn right, and go down the hill into Sandy Ground. Just before the ocean, the road splits and you go right into the village. Continue past Johnnos and look for Body and Soul on the left.